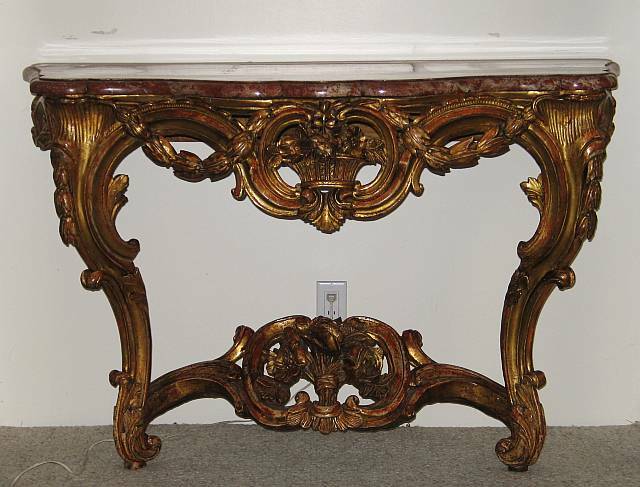 French Louis XV period giltwood walnut console with carved husk garlands and acanthus scrolled legs. Floral basket at apron center and bouquet at stretcher. Rose marble top. Wall hung.